Several years ago, my niece, Elizabeth, went to see the Easter program at 1st Evangelical Church in Tupelo, Mississippi. For years they put on an incredibly anointed drama of the story of Jesus. One climactic part is a scene in which Jesus, sitting on his throne of glory is holding a large book, and as he sees the joyful ones entering into the glorious heavenly realm, he marks off their name in the book. And they both kneeled down beside her bed, and took care of it then and there. Do you remember when you first believed? Do you still believe? 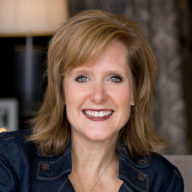 Sara W. Berry has been teaching for over 20 years. This experience began at Millsaps College in Jackson, Mississippi where she received a Bachelor of Science Degree in Education, as well as numerous education and leadership awards. Sara has an strong love of discipleship and an equally intense passion for missions. She is married to Dr. Mont Berry and her teaching experience continues each day as she is rearing her seven children: Katie, Ellie, Joseph, Troy, Joshua, Sally, and Charlie. Enter your email address to get notifications of new posts when they're posted. Sara is an accomplished teacher, author, wife, and mother of seven. She has an intense love of discipleship and an equal passion for missions. © 2016 Sara W. Berry. All rights reserved.